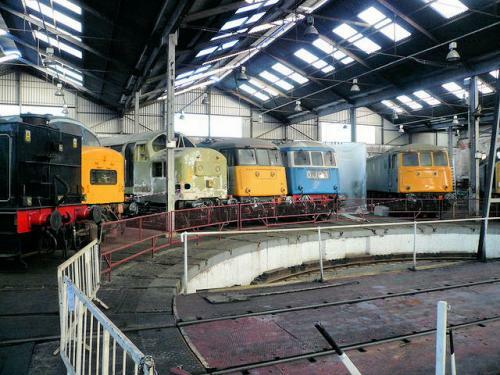 Last surviving turntable-based engine shed in the UK. 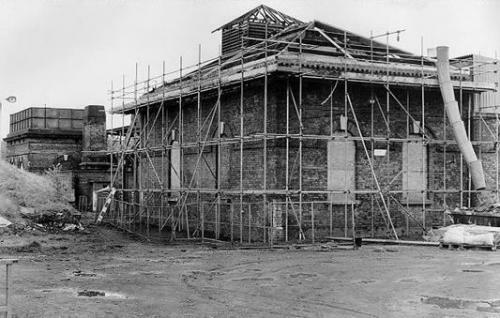 Barrow Hill Roundhouse, until 1948 Staveley Roundhouse & Train Centre, was opened in 1870 as the principal engine shed to serve Staveley Iron Works and its traffic. It consists of a turntable within a rectangular brick building. The turntable was originally operable by steam and by hand, and around it are 24 roads, the longest being 24 m (80ft). 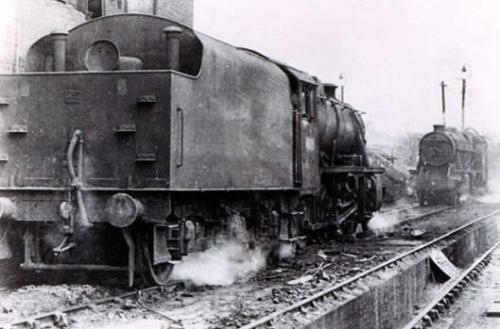 At its peak 90 steam locomotives were based at Barrow Hill. It was closed to steam in 1965 and worked by diesel locomotives until the site was closed by British Rail in 1991. 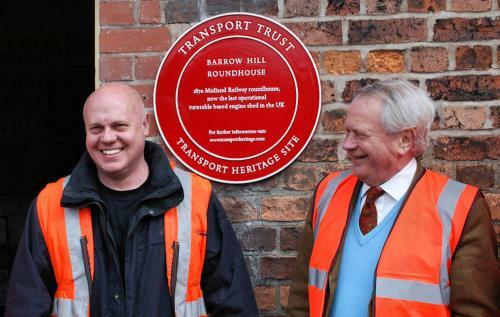 Barrow Hill Engine Shed Society was formed in 1989 to preserve the Roundhouse, and following its listing as a Grade II building of Architectural and Historic Interest, it was purchased from British Rail by Chesterfield Borough Council, and leased to the Society in 2000. The Roundhouse also contains the only remaining set of timber locomotive lifting ‘sheer legs‘ and a changing selection of steam and diesel locomotives and rolling stock, including some on loan from the National Railway Museum, York. 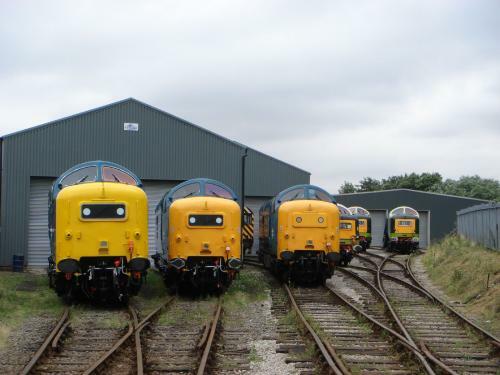 The site also contains the headquarters of the Deltic Preservation Society, which owns 3 of the remaining 6 surviving Deltics, the locomotives built in 1961 to work the East Coast Main Line. 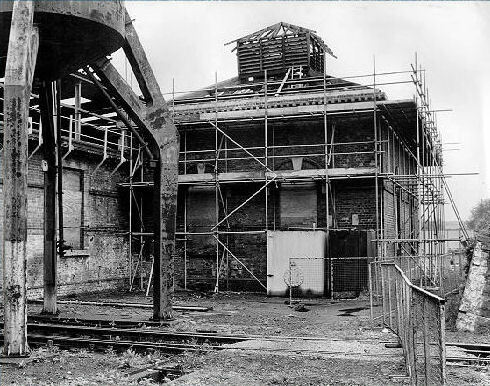 The site remains connected to the national rail network and is therefore the last operational railway roundhouse in the U.K. 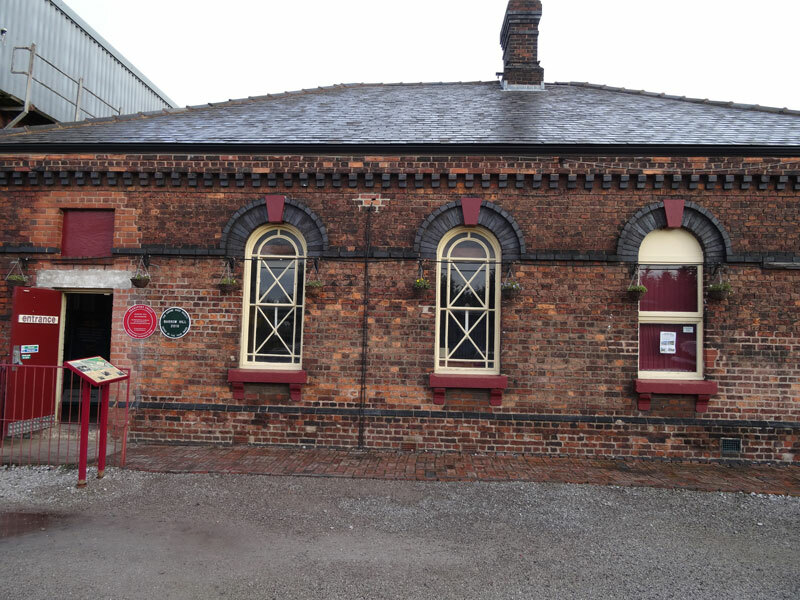 The engine shed and the associated infrastructure are Grade II Listed Buildings. By road: Off A619 in Barrow Hill village.